Along with November’s big Google+ overhaul came a bunch of nagging new issues that the social service’s most faithful users were eager to see fixed or tweaked. 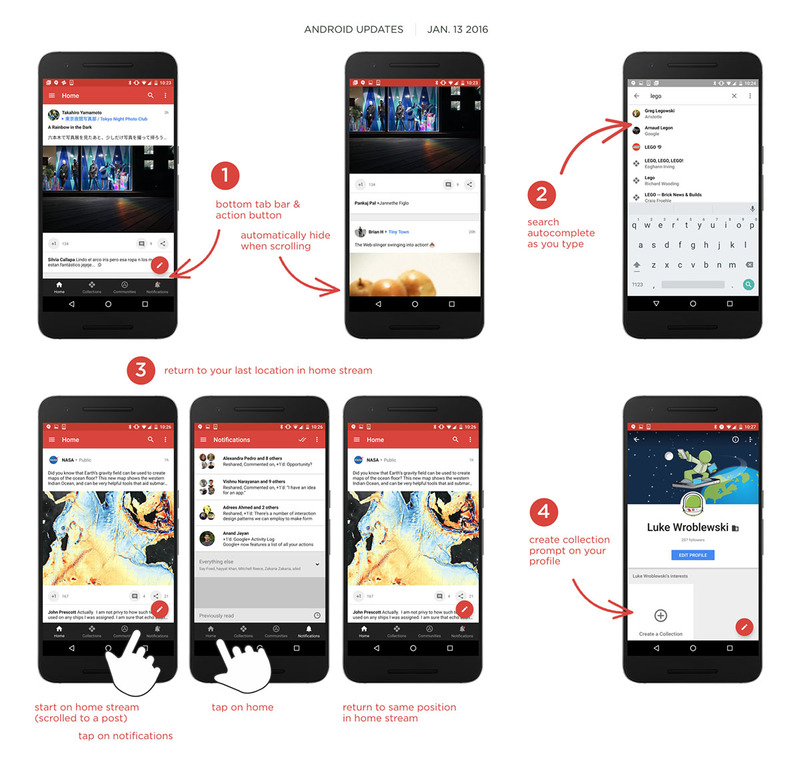 It may have taken a couple of months, but an update to the Android version of G+ is ready to address some. For one, the bottom tab bar will now hide when scrolling. We’re talking about that odd new permanent bar at the bottom of your feed with buttons for Home, Collections, Communities, and Notifications. Yeah, that weird black thing that doesn’t seem to follow any Google design guideline. It hides! The update also allows for the app to remember you position when you return back to it, display autocomplete suggestions when you search, and at least 69 other bug fixes. The update is to version 7.0.0 and will begin rolling out over the next couple of days.